Recent studies have shown that "a summer of bug juice, fresh air, and color war" leads to significantly stronger adult Jewish engagement. 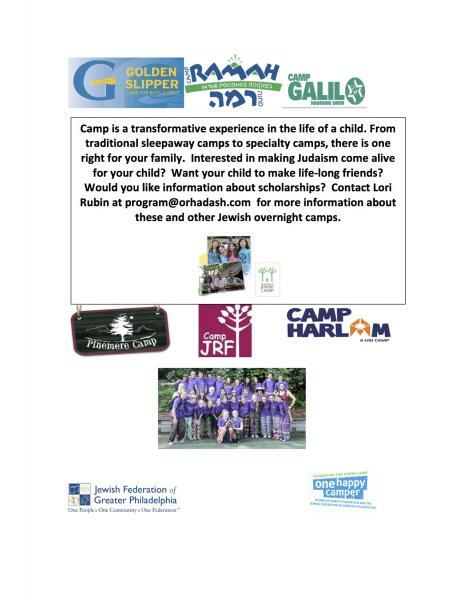 Been to Jewish summer camp? It is an experience one never forgets. Never been to Jewish summer camp? Interested in learning more about what it can offer? We have been gathering information about Jewish summer camps and summer programs in Pennsylvania and across North America so that we can help find the right camp for your child. We are happy to help you find scholarships and connect your child with the summer of a lifetime. The immersive experience of a Jewish summer program can make a difference in the life of your child. Contact Barbara with any questions!